Every year Americans worry more about food on Thanksgiving Day than on any other day. For many of us, it is not only important to create a table filled with everyone's favorites but to do it in a way that impresses the entire family. As important as the day has become, we often overlook the drinks to complement those tasty dishes. Your Thanksgiving Day drink menu does not have to stop at the dinner table, either. 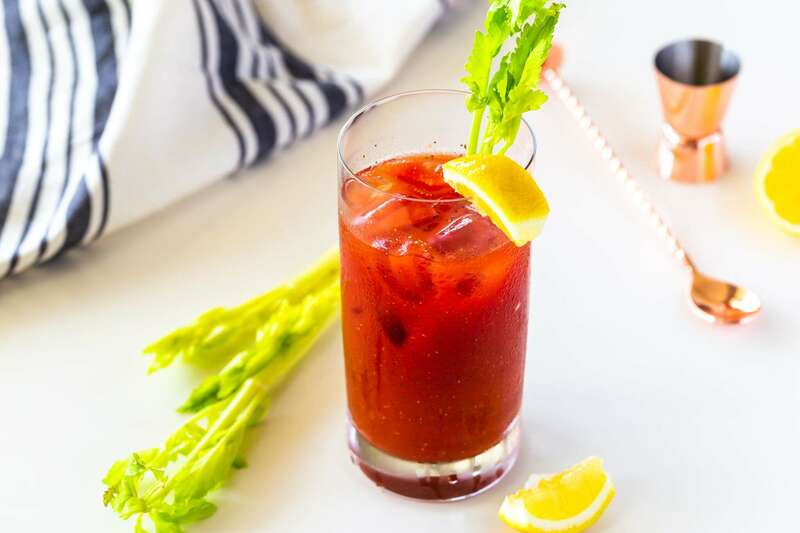 From a morning of parade watching to the many football games or getting cozy for a family movie, there are many great drinks that can keep the festive mood throughout the day. Enjoying a good breakfast on Thanksgiving Day, then sitting down to watch the Macy's Thanksgiving Day Parade is a tradition for many families. It is the perfect opportunity to relax before a day packed with family and cooking. There are a few drinks that are perfect for the time before that rush begins. Start Thanksgiving Day off right with a warm drink that also has kid appeal. That means a cup of steaming hot chocolate and we're not talking about the just-add-water cocoa, either. 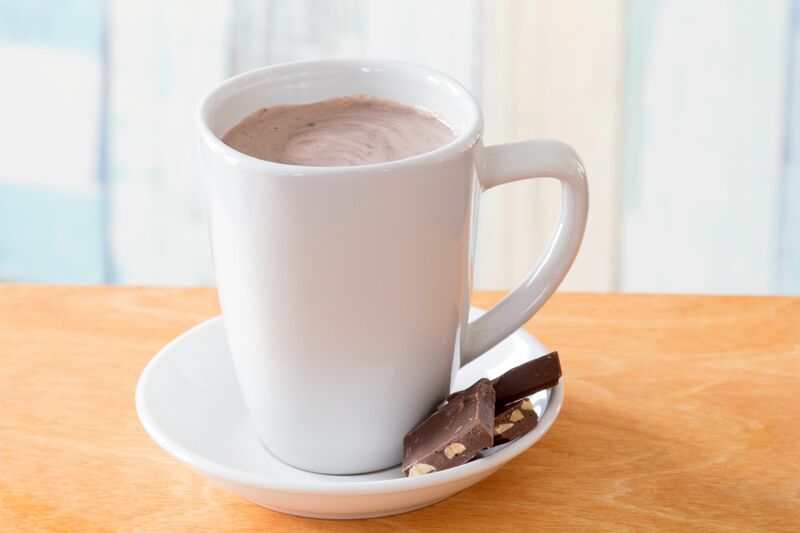 Real hot chocolate is a fantastic indulgence, it's rich, creamy, and the ultimate comfort drink. Since this is a special day, why not explore a new hot chocolate recipe? From the spiced Mexican hot chocolate to the luscious Viennese recipe, there are many delicious variations on this favorite drink. You'll even find a few that toss in an adults-only twist. Starting the day with a cold glass of fruit juice is a great option as well. There's no need to stick to the ordinary glass of orange juice, either. Mix up an interesting, but easy, mocktail for the family as you wait for Santa's appearance in the parade. 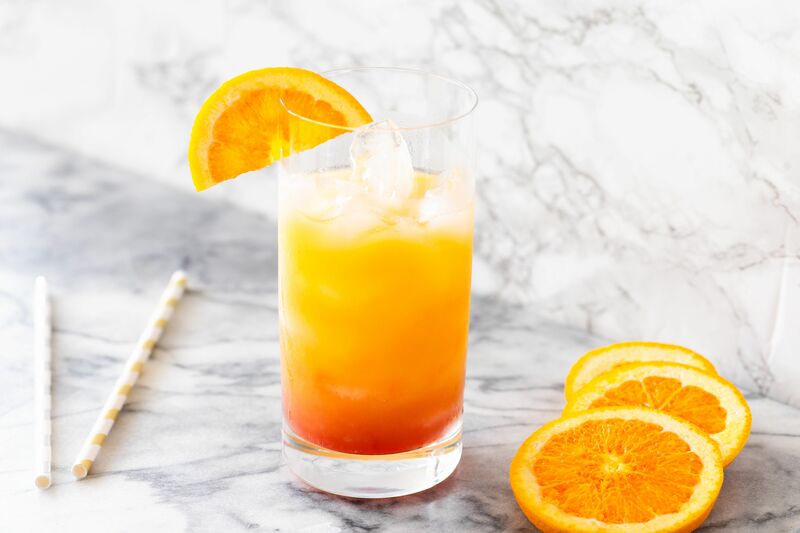 The sweet sunrise is a simple way to cheer up your morning OJ. It is, basically, a tequila sunrise, hold the tequila. Grenadine gives the tart citrus a nice contrast and the sunrise effect makes any day a little brighter. For something slightly more original, try the berry sweetheart. This recipe requires just three ingredients that may already be in your kitchen and it comes together in less than a minute. Your family will love the mix of cranberry and apple juices sweetened with a dollop of honey. Brunch cocktails, anyone? If you need to take a few minutes to unwind before the day really gets started, turn to one of our favorite morning cocktail recipes. Just be sure to take it easy. After all, you have the whole day ahead of you and there's no point in getting tipsy before noon. Nothing says morning like a Bloody Mary. It's packed with flavor and even has a few vitamins to get your day started right. It's also a drink that can go "virgin" if liquor's not in your morning plans. You might also treat yourself to a mimosa after the turkey goes into the oven. This sparkling Champagne cocktail is always nice and a perfect excuse to use up the last of the morning's orange juice. Then again, if you want something unique for such a special day, the crantini would be a fun and incredibly simple cocktail to mix up. After all, cranberries are not just for the dinner table. The Thanksgiving meal itself can be a challenge when it comes to drinks because the table is filled with such a wide variety of foods. While there are many great beverages that pair well with turkey specifically, we have a few more ideas for you to consider. Looking for something warm and inviting for your dinner table? Few drinks can beat a steaming cup of rich and malty Assam tea with milk. It's a favorite for the British afternoon tea and a perfect complement to a meal that has so much going on. For the coffee drinkers, we suggest something really special for the holiday. The traditional spiced Turkish coffee is a fantastic choice. It's an aromatic delight, filled with spices like cardamom, clove, cinnamon, and vanilla. Which are the best wines for your feast? While this pairing may seem like a daunting task, you'll find a great variety to choose from. Among the top Thanksgiving dinner wine pairings, you'll find whites like Riesling and Sauvignon Blanc. For red wine lovers, we suggest a Pinot Noir, Zinfandel, or Syrah. And, the surprise of the whole lot are those effervescent sparkling wines. These really can turn the meal into a culinary masterpiece. There will probably be a few beer drinkers at the table and, with the right pairing, they too can enjoy an elevated taste experience. Within our favorite beer pairings for this holiday feast, you will find specific recommendations for the main course of meat. For example, your traditional turkey will be best with an amber ale or Oktoberfest while that smoked turkey would be better off with something darker like brown or Scotch ales. Is ham on your menu? You'll get even richer flavors with Wiezens and bocks. If you feel like mixing up a cocktail or two for Thanksgiving dinner, you have many excellent options as well. Among our favorite recipes are two simple, and rather obvious choices: the Thanksgiving cocktail and the Thanksgiving cider. The former is a classic gin martini with a little extra flavor and the latter a tall, refreshing mix of apple cider and pumpkin pie vodka. For something light and fruity with a seasonal kick, try the polished princess. It has the cranberry we love in the cosmopolitan with just a hint of pumpkin spice and it's delightful. The pear cobbler is another interesting one that lets you get your pears drunk. Yet, if you want to browse more ideas, there are plenty of seasonal cocktails for you to explore. Mixed drinks should not be limited to the adults and drinkers at the table. For fun family-friendly beverages, consider a fruity punch like the simple Cinderella. It's a snappy mix of orange and pineapple juices topped with a light soda and it looks fabulous in a pitcher. 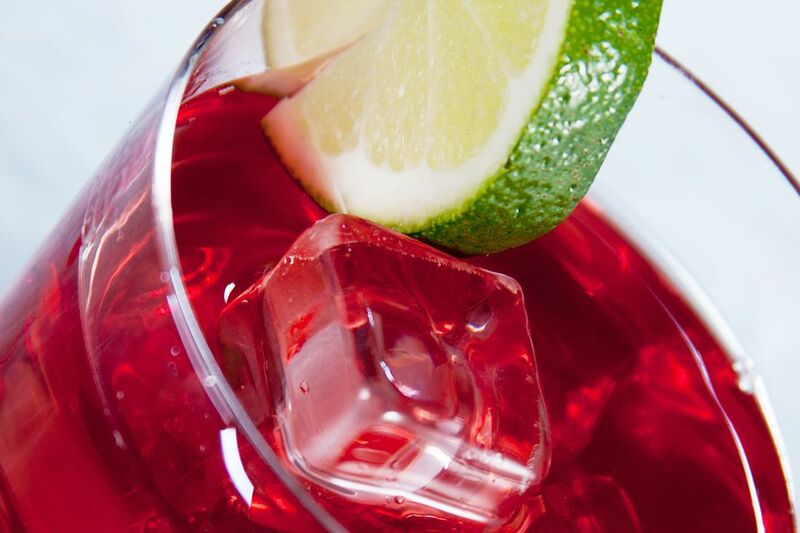 Another incredibly easy option is the sparkling cranberry punch. This is one of the easiest punchbowls you will ever fill and everyone will love the cranberry-lemonade flavor. We all have a tendency to overindulge during Thanksgiving Day dinner. It's not hard when there is so much delicious food in front of you. There is always room for dessert, though! These drinks are perfect for dessert or after the meal to help you recover from all of that food. They're also ideal for later in the evening when you sit down to watch a movie or bring out the board games. Any time after dinner is perfect for a nice cup of coffee or tea. Luckily, there are some fabulous options that far outweigh that average cup of drip coffee Aunt Edna likes so much. This year surprise her with something like New Orleans coffee (aka café noir). This recipe adds chicory to create a rich chocolate-caramel flavor, which is perfect for dessert. For tea lovers, you cannot go wrong with Masala chai. An authentic, made-from-scratch recipe will outshine any chai tea mix and it's surprisingly easy to make. In the middle of these two options is Pu-erh. This often forgotten Chinese tea is a delicious, earthy dark tea that many compare to coffee or dark chocolate. It's important that you shop wisely, though, because low-quality Pu-erh can be a disappointment. A holiday like Thanksgiving calls for extra family time and you can have the kids join you in the kitchen to mix up a couple of fun drinks. On the warm side, something like the hot not toddy is ideal, especially if they've been playing outside in the cold. It has everything we love about the warm hot toddy but without the booze. For a really fun treat, make up a round of root beer floats. It is a special day, after all, and it's hard to resist this tempting treat. Of course, there are some dessert-worthy drinks that are strictly for the adults in the family. You'll find many great dessert and ice wines to choose from and spiced ales or "winter warmers" are perfect for the beer drinkers. On the cocktail end, might we suggest the apple cider martini? It's a simple and refreshing vodka martini with a hint of ginger spice that you'll really love. If you're looking for something a bit more indulgent, our favorite dessert cocktails like the Alexander and chocolate martini are always good options. Then again, the kids shouldn't have all the fun, so a spiked root beer float may be in order. Beyond the meal, Thanksgiving is also known as a day for football and you know what that means...beer, of course! We can go beyond the everyday beer for this special occasion and pick out something unusual. Browse through the selection of specialty beers at the store and look for any seasonal beers that pique your interest. Pumpkin and Oktoberfest beers are always a favorite and you can also look for any label with the words harvest or winter because these will have fantastic seasonal flavors. The craft beer market is constantly expanding and if you need a good excuse to try something new, Thanksgiving is it. As an alternative, there’s nothing like old-fashioned drip coffee to get your energy levels up. If you’re looking for something a little more refined, try French press coffee or Lapsang Souchong tea, which is perhaps the smokiest, most macho tea out there. Also, try a new sweetener and start each cup with a dollop of cinnamon syrup. It is easy to make and may become your new staple as well. There are so many cocktails that are perfect for game day whether that falls on Thanksgiving or any given weekend. Try mixing up a beertail or two or give one of these signature cocktails a try. Jalisco High Tea - Tequila, herbal tea, and a cherry twist. It's fantastic. New England Sour - Served cold, yet the maple in this vodka sour warms things up. Orchard Catch Cooler - Enhance your hard cider with fresh fruits and herbs. Steelers Cider - Warm and steamy apple cider with a bourbon kick.